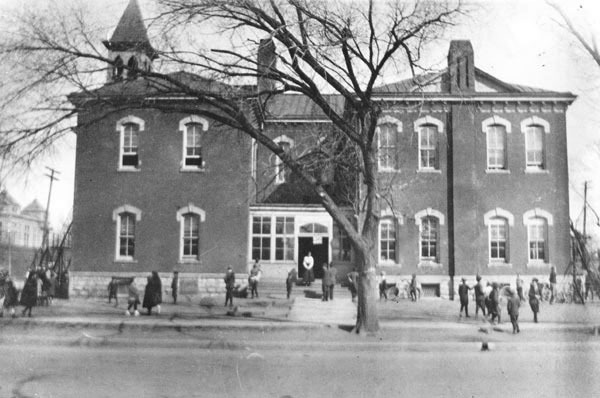 Description: View of Carleton School located on the northeast corner, intersection of Lewis and Lawrence Avenues. 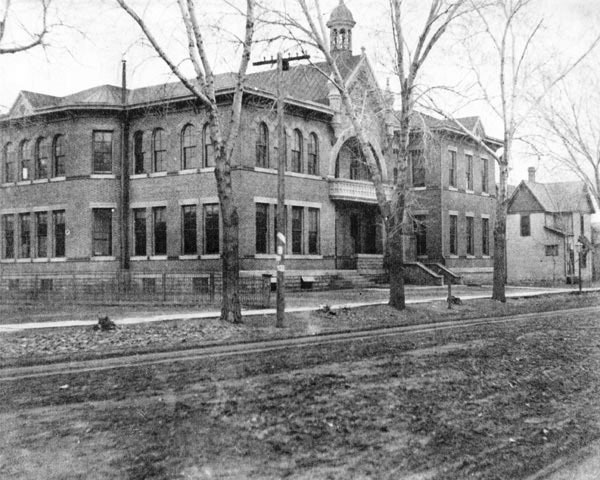 This was one of the first structures to house the elementary school; it was later replaced by another building on the same site. Mr. Bartlett E. Hilliard, custodian, standing near street. Description: Wichita High School was located between Second and Third on the east side of Emporia. Description: Lincoln School, located at corner of Lincoln Street and Topeka Avenue. 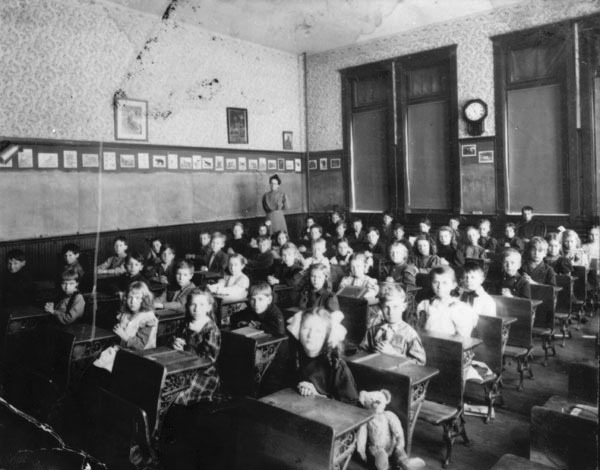 Interior view looking toward a blackboard where students are demonstrating arithmetic problems. Teacher, Miss Eva Minnich. 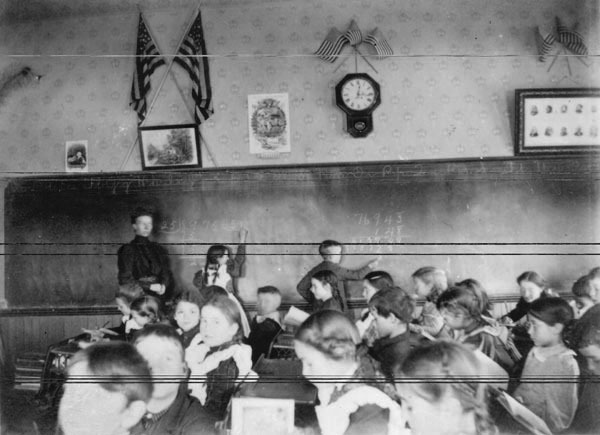 Keywords: Education, people, children, blackboard, U.S. flag, clock, multiplication. 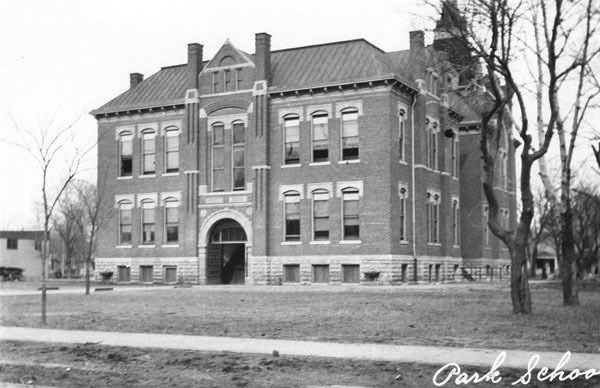 Description: Lincoln School, located at corner of Lincoln Street and Topeka Avenue. Interior view looking toward front of room. Teacher, Miss Eva Minnich. 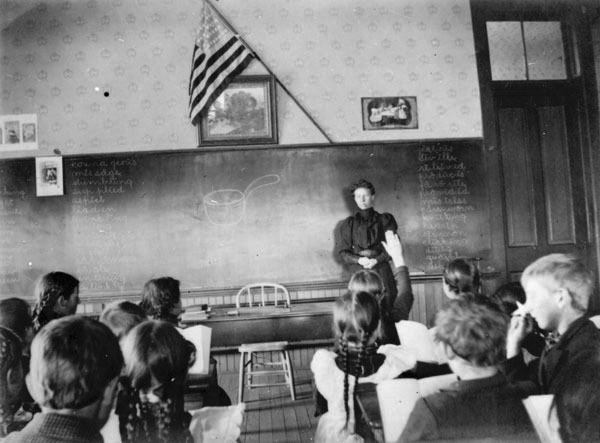 Keywords: Education, people, children, student, academic, blackboard, U.S. flag, fashion. 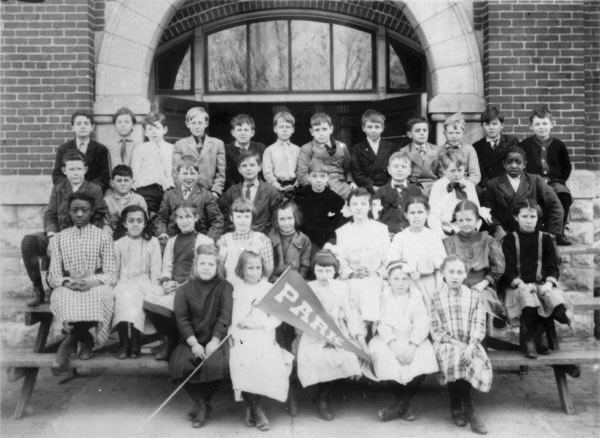 Description: Elementary school students gathered in front of Park School building. Location, northwest corner, Main and Park Streets (Park now Ninth Street). Keywords: Education; people; organizations, clubs and groups; children; African American. Description: Park Elementary School was located at 1025 North Main. 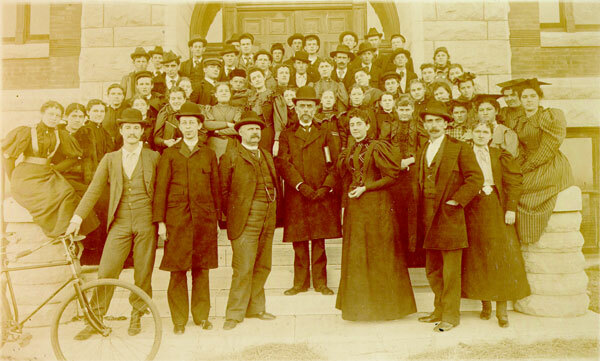 It was built by Willis Proudfoot at a cost of $10,500 and opened in November 1885. Description: Emerson Elementary School, located on the corner of Water and Central. 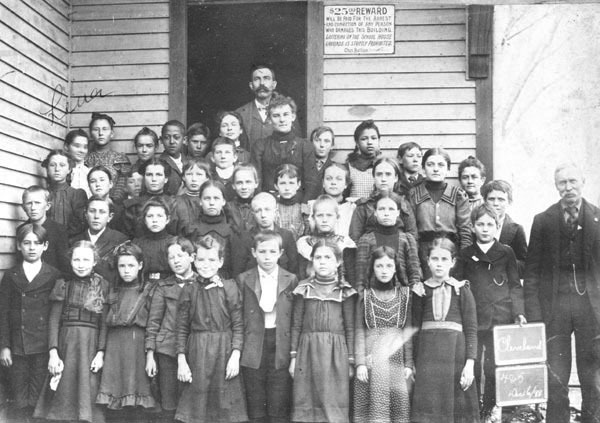 It was also known as 2nd Ward School. The school was named for Ralph Waldo Emerson. Keywords: Education, people, children, students.